Let your guests calm their nerves after they place their bets when you give them Casino Dealer Drink Tickets at your next gaming event. 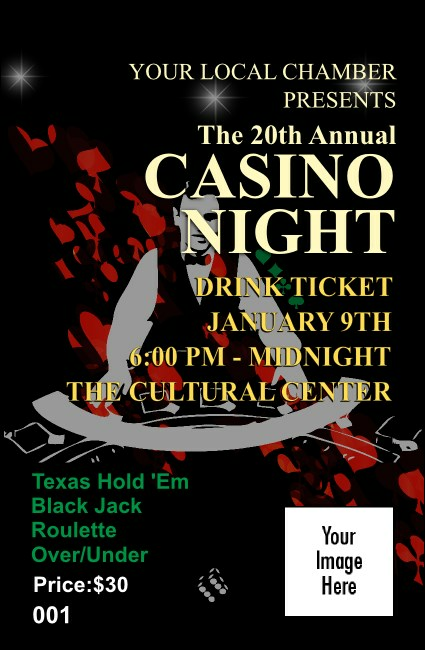 These classy tickets feature a black background accented by bold colors, and include the image of a dealer etched in gray. Upload your own unique image like a sponsor’s logo or a featured player’s picture. Let TicketPrinting.com help deal you a great hand.